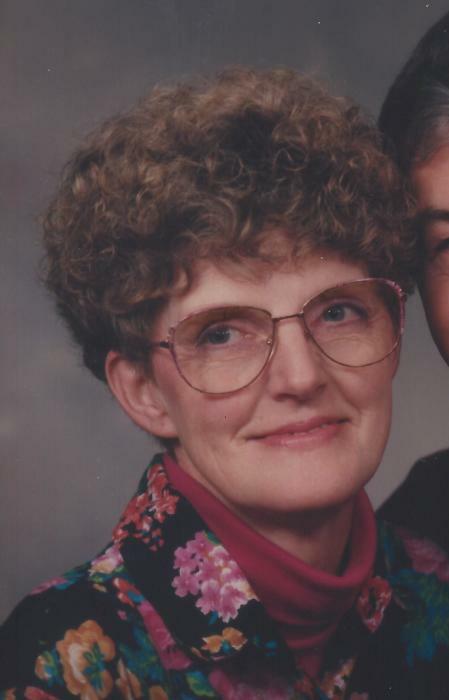 Kay Frances Harings, 79 of Chetek passed away Tuesday, November 27, 2018 at Brentwood Memory Care in Rice Lake, Wisconsin. She was born June 14, 1939 in Rice Lake, the daughter of Frances (Doonan) and Percy Pederson. Kay graduated from Chetek High School in 1957, and later married Robert Harings May 14, 1960 in Tilden, Wisconsin. Together they raised five children. Kay loved to spend quality time with her family, was an excellent homemaker and gardener. She enjoyed listening to polka music, dancing and doing crafts. Kay is survived by her husband of 58 years, Bob, children; Brent (Chris) Harings of Rice Lake, Charmaine (Chris) Mlejnek of Rice Lake, Peggy (Dan) Cunningham of Hudson, Kimberly Ryan of Chippewa Falls, Heidi (Timothy) Ryan of Hudson, thirteen grandchildren; Mitchell, Sean, Hans, Jade, Jasmine, Sam, Calli, Shannon, Rachel, Miranda, Zachary, Heather, Sydney, one great grandson; Dax, fur-baby Yukon, sister; Kristy (Jerry) Taft of Chetek and family friend; Rob Ryan. Also survived by many nieces, nephews and other friends. Funeral Services for Kay will be at the funeral home Monday, December 3 at 1:00 P.M. with Hospice Chaplain Dennis Fowler officiating. Visitation will be held from 11:00 A.M. until the time of the service. Interment will take place privately.